Welcome. I’m so glad you decided to be a part of the ThatOrganicMom Tribe! Achieving optimum health for you and your family is possible. 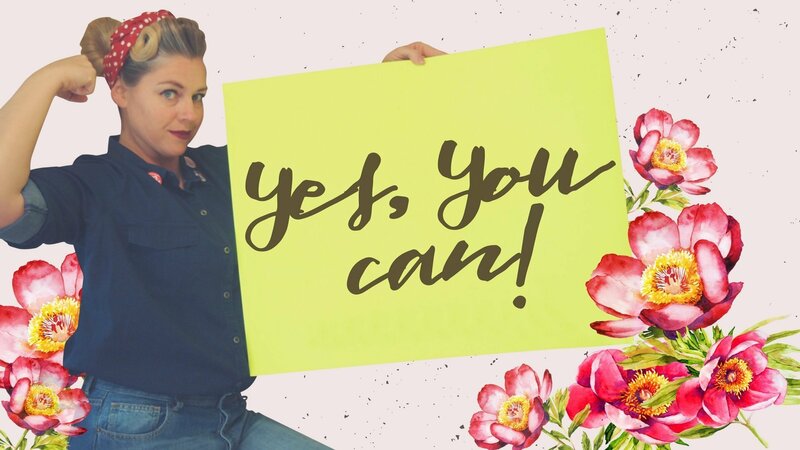 I’m going to show you how to take baby steps to change your lifestyle to include healthier foods, natural beauty products, non-toxic cleaning methods, and a more natural home environment. If you have tried making the transition to a more natural lifestyle and felt overwhelmed or had no idea where to start then you have found the right place! Learning to clean up our home, diet, and lifestyle is a process. One that is achieved by taking one baby step after another. I will share with you tips and tricks I used to simplify life, detoxify my home, achieve more happiness as a family and some amazing foods and recipes that your family will love! I did not learn everything overnight, no one does. It is my goal to give you action steps that will set you on the path to living life with superior health. You can find more tips and random musings on my YouTube Channel: ThatOrganicMom. If you are curious how the name ThatOrganicMom came about, please read my series Branded For Life. On this site, you will find articles, links, and videos that will help you achieve your goals. Plus plenty of recommendations to help you along the way. TOM Tribe Members have access to all the FREE Guides, and are first to know about giveaways and coupons, so make sure you sign up to stay in the loop before you scroll down to the 12 Steps! Keep incorporating healthy lifestyle habits! Keep coming back as I add new tips and info weekly. I will continue to add links that will help you on your way to wellness! For now, scroll down the page for an overview of the 12 Steps! Implement these steps at a pace that is comfortable for you. Some families do them one per month while some prefer to do them one per week. I have even met a few families who did them all at one time! Work at a pace that is right for your family. I will try to convince you, then explain how to make that step happen, and finally, I will give you examples to show you what that would look like in real life. Replace sodas, fruit juice, flavored waters and sports drinks with filtered water, green tea, and herbal tea. Think about water filtration to avoid chemicals, impurities and fluoridated water supplies. Convince me: Drinking your calories can put you at risk for obesity, raises insulin levels, increases your chance of tooth decay and robs your bones of calcium. Water from a municipal source needs to be filtered to remove chlorine, fluoride and other impurities. Herbicides, pesticides, drug residues, heavy metals in well-water, and toxic chemicals in your urban water supplies are more dangerous than most people realize. How to make it happen: Read my article about quitting soda, purchase a water filtration system for your home, but especially for your drinking and cooking water supply. Example: Try drinking sparkling water for the carbonation. Some people enjoy adding fruit to sparkling water, or even adding it to filtered water. We use several water filtration systems, but my favorite is the Berkey and the Boroux for carrying my water around. How to make it happen: Try replacing cereal, toast, and bagels with protein shakes, eggs, nontraditional breakfasts, smoked salmon, and even beans. Start including lots of protein at your breakfast meals. Example: Truly eggs are a great staple for breakfast, they are very versatile. For a light breakfast, learn to make bone broth to drink, it’s easier than you think. If you are in a hurry, you can always try Runner’s Smoothie. A Step Further – If you are a healthy individual, you might consider intermittent fasting. 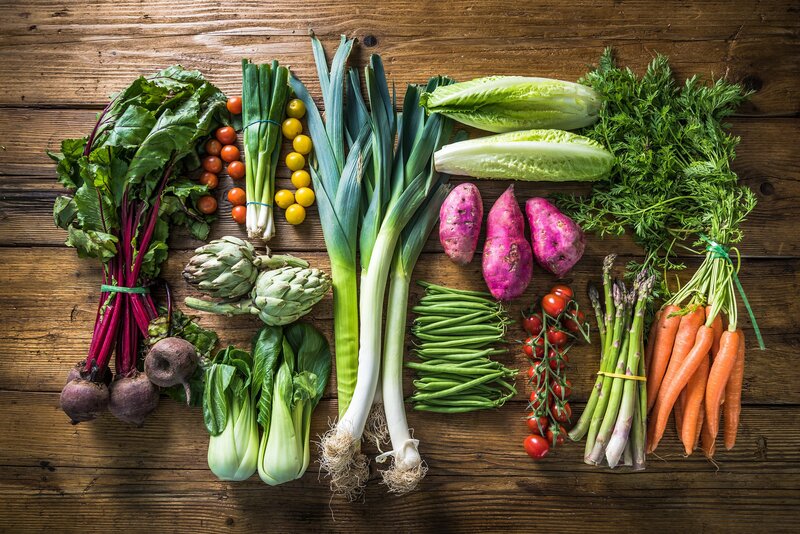 Veggies in a variety of colors should be added at lunch time; later you will want to start adding a rainbow of veggies to your dinner plate and pull back on the tendency to add wheat to every meal. Convince me: You can’t go wrong with any plant that has bright, vibrant colors—think fruits and vegetables, as the phytochemicals (the substance that makes a fruit or veggie have to color) are full of antioxidants which help your body to be healthier. *David Heber, MD, Ph.D., and Bowerman attempted to group foods according to their predominant phytochemical group, coding plant foods into seven color categories: red, red/purple, orange, orange/yellow, yellow/green, green, and white/green* hence the rainbow! How to make it happen: Make sure you are adding at least one, but preferably two vegetables to each of your meals daily. Eat the rainbow, and you will sparkle like a diamond. Example: Superfood salads, stir fries, and veggie soups are a great way to get in lots of servings of your favorite vegetables. I often add a handful of spinach to my children's smoothies and they never even know. You can always go veggie ninja and add purees to your recipes without your children ever suspecting. Like I do in our mac-n-cheese and also our healthiest bar ever! A Step Further – Consider juicing vegetables or stopping at a juice bar for a vegetable juice, just take it easy on the fruit juice! Reduce stress and do more things you enjoy. Spend time together as a family. Eat at least 3, but preferably five dinners together as a family. How to make it happen: Can’t miss soccer practice? How about having a late dinner afterward? Just remember to throw some chicken in your crockpot for an easy dinner together when you get home. What about packing a picnic lunch to eat during the baseball game? Try my Quickie White Chicken Chili next time you're in a hurry! Example: Try having a screen free day every other week at minimum and use that time to reconnect with each other as a family. Bonus points if you spend time outside. Use a family calendar to keep up with everyone’s schedules. A Step Further – Limit Screentime as a habit, implement some boundaries when it comes to using electronics, for yourself and your family. Replace regular wheat and hybridized grains with Ancient Grains or superfood grains. Reducing the number of grains you consume can lead to better health. Convince me: Many experts now believe that anyone can gain many health benefits by giving up wheat products. According to David Perlmutter, M.D., not only is gluten making us fat, but it’s also the underlying cause of migraines, ADHD, and Alzheimer’s disease. How to make it happen: It’s not just bread that contains wheat. Start cooking more foods from scratch, especially salad dressings of which many have gluten. Skip fast food entirely. Try an elimination diet for 21 days to see how you feel without gluten. This will help you to ascertain your sensitivity to gluten. Example: Instead of bagels, pastries or cereal for breakfast enjoy a nice bowl of yogurt topped with fruit and honey. For lunch, enjoy a delicious burger wrapped in lettuce instead of a bun; many restaurants have this as an option. When dinner comes, instead of eating white rice, sauté some riced cauliflower. Many supermarkets sell cauliflower that has been diced to the size of rice grains. It is faster than rice to saute it or place it on a baking sheet while you prepare the rest of the dinner meal. 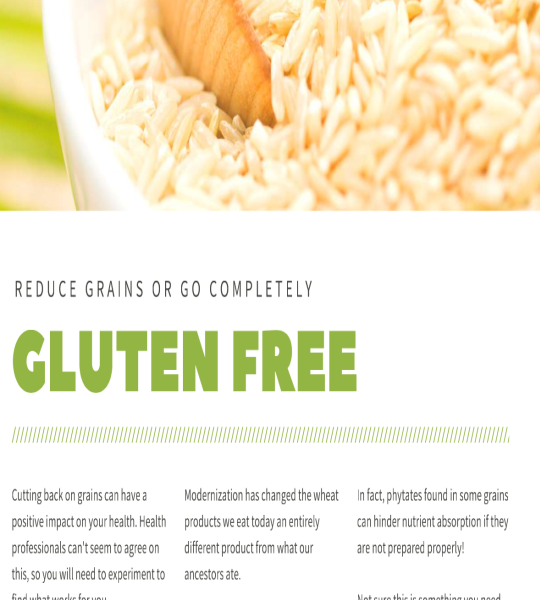 A Step Further – Some diets exclude grains and can help with various health challenges. If you are finding that just transitioning to a whole foods diet is not enough, consider the Ketogenic or Paleo lifestyle. Replace sugary desserts and treats. Start experimenting with sugar-free desserts. Convince me: Want to have better-looking skin, to lose weight, have more energy, and create overall wellness? It’s as simple as giving up the white stuff, and I mean ALL of it, not just what you add to your coffee! Sugar is the cause of many modern day illnesses. The burden of processing sugar is overtaxing your liver. How to make it happen: Start by replacing your sugary desserts with fruit. If you still need to have desserts learn to prepare your favorite recipes with sugar alcohols, stevia or honey. Week Two Break the Sugar Addiction Example: Berries make a great dessert. We enjoy making desserts with stevia, erythritol, and xylitol.Replace fast food stops with meal prep, carrying snacks and planning ahead. The following menu plans work with the Trim Healthy Mama Cookbook which has many recipes using sugar alcohols. Week One Trim Healthy Mama is a sugar-free menu plan as well, it's designed to help you lose weight! Week Two Trim Healthy Mama, sugar-free menu plan with links. Week Four, Week Eight Trim Healthy Mama Menu Plans — no sugar! Example: Replace sugary desserts and treats with fruit. Start experimenting with sugar-free desserts. Instead of a bowl of ice cream for dessert try a bowl of raspberries! 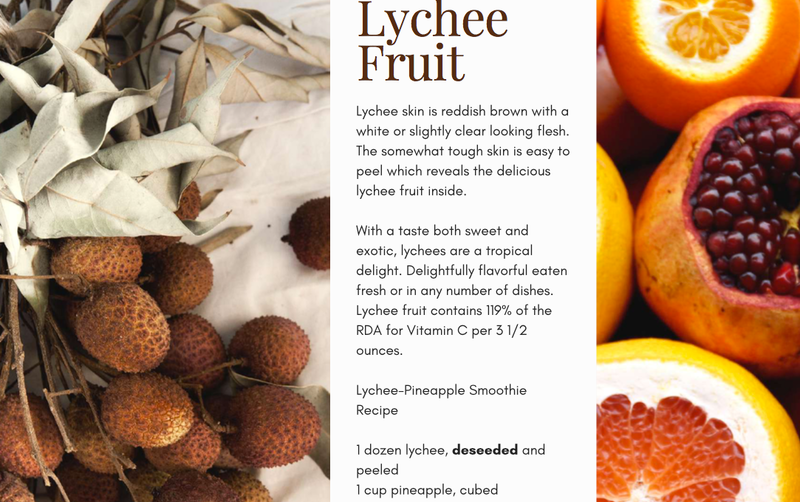 Natures dessert is so delicious and so much better for you. Replace fast food stops with meal prep, carrying snacks and planning ahead. Convince me: Some schools do have a healthy lunch program, but most fall short. Don’t take a chance with your children’s health, know what they are eating at school. How to make it happen: Pack your lunches if you work outside the home or even when you are running errands all day, pack your children’s lunches if they go to school and you are able to do this. Start with one a week and build up to packing as many days as necessary. Plan meals, it will save you money on last minute calls to the local pizzeria and improve your health, reducing sick trips to the doctor’s office. Check out my YouTube Channel to see my lunch packing videos. My daughter Ivy has been creating special food videos for teens that are really great. You can watch them at Ivy Wants Food. Increase the number of good fats in your diet. Replace unhealthy oils and fats. Convince me: Your brain is about 60% fat, it is thus important to increase your Omega 3 fats while at the same time reducing your intake of Omega 6 fats. Omega 6 fats contribute to heart disease, cancer, stroke, Alzheimer’s, arthritis and more. How to make it happen: Eat real butter, preferably grass fed. I buy Kerrygold butter at Costco. You can find a list of other items I buy from Costco here. Add avocados to your diet, they are truly amazingly healthy. Use coconut oil for in cooking, baking, desserts, smoothies, coffee and much more! Add extra virgin olive oil on salads to increase intake of healthy fats. Example: Omega 3 fats: avocados, eggs, grass fed butter. 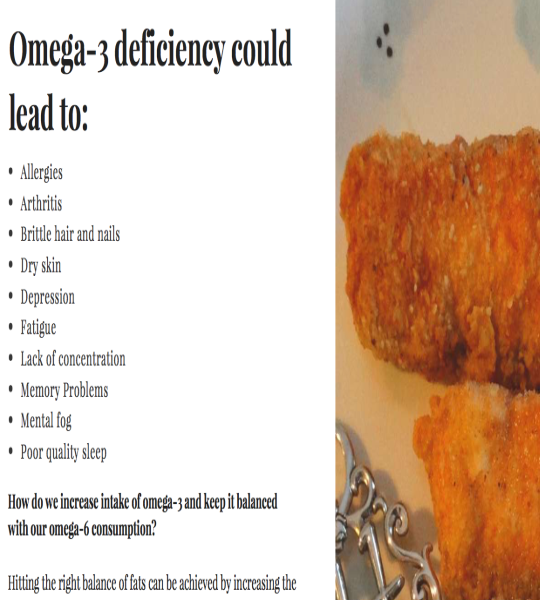 Significantly reduce Omega 6 fats such as corn oil, canola oil, and other vegetable oils. Focus on getting at least eight hours of sleep each night, going to bed and rising each day at the same time. Convince me: Most people do not make a conscious choice to miss out on sleep. There are many life events that creep in on our sleep schedule. Occasionally, something will come up that will warrant missing a few hours of time in bed, however, this should never become the norm. So, guard the hours you schedule for sleeping! How to make it happen: Most of us will sacrifice this precious commodity for many varied reasons over the span of our lives. It’s important, however, not to make it a (bad) habit! Consistently getting an excellent night’s sleep can make a huge difference in your health which is why I devoted an entire category to the subject of Good Sleep Hygiene. Example: A bedroom oasis will help you get quality sleep, night after night! Hopefully, you spend at least a third of your day in your bedroom. If not, you should be! Having a peaceful oasis to go to when your work day ends and a calm spot to wake up in is one of the best gifts you can give yourself. Limit screen time for yourself and your children and learn to optimize your sleep. Convince me: Too much screen time suppresses the release of melatonin, a hormone produced by the body to help you sleep. It also increases the chance of coronary heart disease and can result in elevated cholesterol later in life. (2) Optimize your sleep for superior health, or pay the consequences later. How to make it happen: Set a good example by limiting your own screen time, avoid using screen time as a babysitter, keep televisions and computers in common areas instead of in bedrooms. 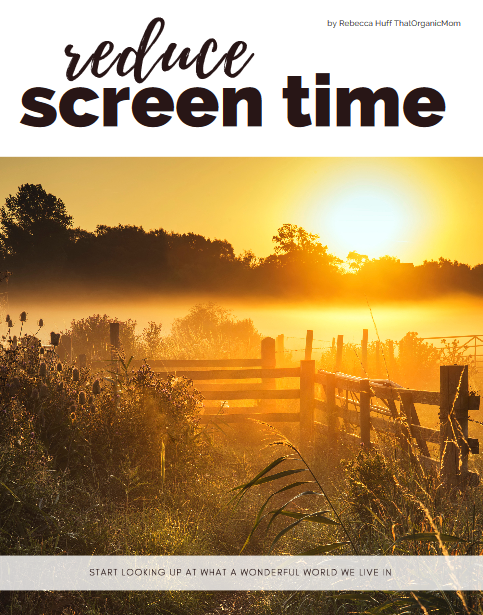 Consider making one day per week a screen free day, if not the entire day, set aside at least a few hours! Example: Replace screen time with “move your body” activities, such as sports and family exercise, weekly hikes, bike riding, or joining the Y. You could even take martial arts as a family. A Step Further – Implement some ideas that will keep your family busy and help kids to forget about their smartphones. How about some field trips, a nature walk or implementing a countries and culture night. Learn to read labels as a habit and teach your children how to read them as well. Convince me: When children learn to read labels it becomes a lifelong habit that will help them to maintain superior health throughout their lives. How to make it happen: When you become passionate about eating healthier and making better choices your children will too. Examples: Become food detectives and go on a search for the healthiest choices at the supermarket. Have contests to see who can come up with the best choices and reward them with a small prize such as a new Lego set or the latest Pokemon cards. Work on replacing toxic cleaners and body products with nontoxic ones or using alternative cleaning methods. There are over 80,000 chemicals in use in the U.S. many of which are banned overseas. Of those, only a very small percentage have been tested for toxicity. 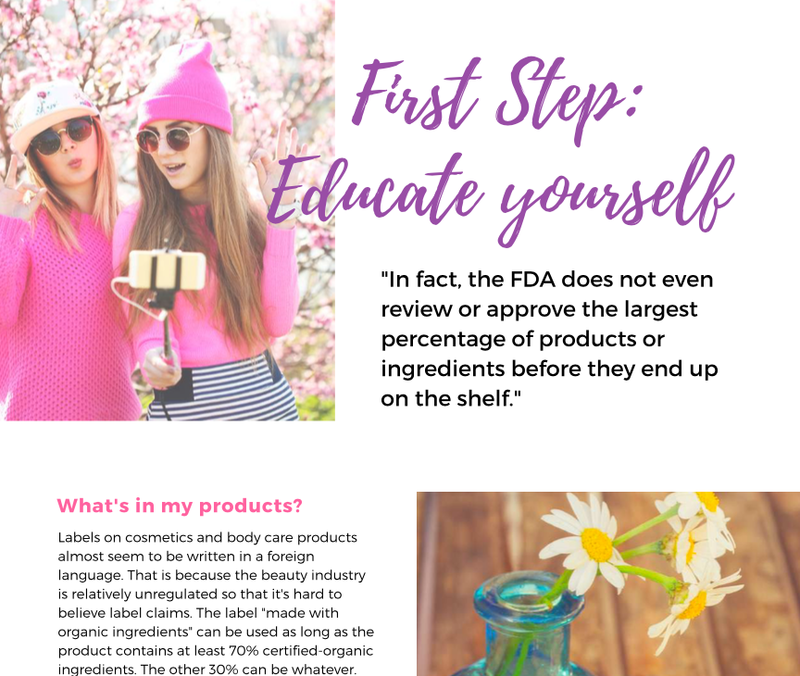 The cosmetics industry is self-regulated and very little legislation has been passed to protect women from chemicals in the products they use each day. In fact, many chemicals found in makeup sold in the U.S. are banned in Europe. Chemicals can enter the bloodstream through the skin and can also enter the body through inhalation. Manufacturers of the cleaning products and laundry detergents you use every day to clean your home (unlike food, beverage, cosmetic and other personal care products) are not required by federal law to list their ingredients. How to make it happen: Start replacing your chemical cleaners with a do it all formula that can cover all your needs! Example: Work on replacing your chemical cleaners one bottle at a time, or if it makes you feel better, donate all of your old ones to a shelter and start from scratch! Take a look at my toxic free laundry room tour on this video. Make some wool dryer balls instead of wasting money on those toxic dryer sheets. A Step Further – Clean up your beauty routine and start replacing products that have toxic chemicals with more natural and organic options.